Given the description in Ephesians 6 of the spiritual battle raging around us, what can we do to prepare for the moral ambushes upon us from the enemy and avoid becoming a spiritual casualty? “Medic!” Few words so completely capture a leader’s attention like that urgent call, one most often following the staccato of automatic gunfire or the deafening explosion of an enemy-initiated ambush. In the blink of an eye a situation has quickly gone bad, a unit has casualties, and there will likely be more unless it quickly clears the kill zone. Ambushes are deadly attacks utilizing surprise and concealment. Similarly, a moral ambush is a situation in which our character is tested—often in areas of personal weakness—at a time, manner or place decidedly not of our own choosing, after a series of smaller attacks by our spiritual enemy. We may even enter moral kill zones oblivious to the dangers around us. And then suddenly comes the larger enemy effort, where we or someone we know find ourselves mired in a morally compromising situation—respected and dedicated professionals ambushed by their own poor choices. Given the description in Ephesians 6 of the spiritual battle raging around us, what can we do to prepare for the moral ambushes upon us from the enemy and avoid becoming a spiritual casualty? Following are six suggestions. 2. Take Christian discipleship seriously. Our relationship with Christ is the one thing truly impacting every area of our lives. As Christian leaders, with our life’s primary calling to first be followers of Christ, it’s surprisingly easy to view our Christian character as “good enough” and not needing continuous, active development. We may already be in a vulnerable position if the moral challenges inherent in our rapidly growing professional responsibilities exceed the capacity of our spiritual maturity to handle them. Comparatively, with the significant efforts we expend developing and honing our professional skills, we sometimes invest only time and energy leftovers into discipleship. We have time for physical fitness, watching football all season, playing computer games, etc., yet find little time to invest in our relationship with Christ. 3. Build moral reasoning. We must learn to think “Christianly” by knowing what we believe, why we believe it, and then apply these principles at the inception of a decision-making cycle. Just as sprinkling more sugar on top of an already baked cake is superficial, we also cannot reason through a decision and hope to add some spiritual morality to it after the fact. 4. Have a ranger buddy. One is good, but more are better. Have we built accountability into our lives with people we trust—or are we attempting to go it alone? On a personal level we need relationships with people who encourage us in our Christian walk and will be honest with us when we’re drifting off azimuth. 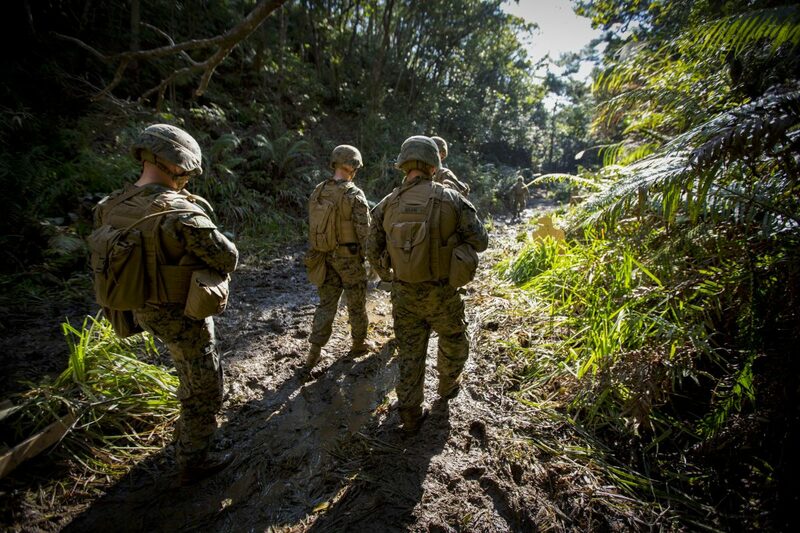 Just as conducting combat operations is a team sport, so is our faith. 5. Listen to the scouts. Seek out, learn from, and ask the counsel of those farther along in their Christian walk than we are. Those going before us can provide invaluable advice on work pressures, family life, our own shortcomings, or the myriad of other issues that can cause us to stumble. While many of us likely regret not seeking more good counsel earlier in our lives, it’s never too late to get good advice. 6. Keep the time priorities right. The demands on our time increase dramatically with rank, especially in command, S3, and XO-type positions, where we could spend twenty-five hours a day at the unit and still not complete our to-do list’s “A” items. Yet daily life’s incessant demands can quickly suffocate our spiritual life and personal relationships. The way we spend our time—that one resource money can’t buy, and no amount of effort or tears can create—is a clear indicator of our priorities. We should soberly examine: are we deliberately balancing our time on the right things, in the right proportions? Our kids are only young once, our marriages cannot go on hold during command, and the current quality of our relationship with Christ impacts us in all we do personally and professionally. Our spiritual enemy is skilled, cunning and relentless. Yet if we are paying close attention to our Heavenly Commander in Chief, we can avoid many of the moral ambushes common to this life. Even if we do fall, by His grace we can still recover. But in this war of eternal significance, our short time on this earth is better spent on the battlefield than in the recovery room. Brian currently serves as the garrison commander of White Sands Missile Range, NM. Previous assignments include deputy brigade commander of the 95th Civil Affairs Brigade (Airborne), commander of the 97th Civil Affairs Battalion (Airborne), and other assignments in Afghanistan, Iraq, South Korea and Laos.